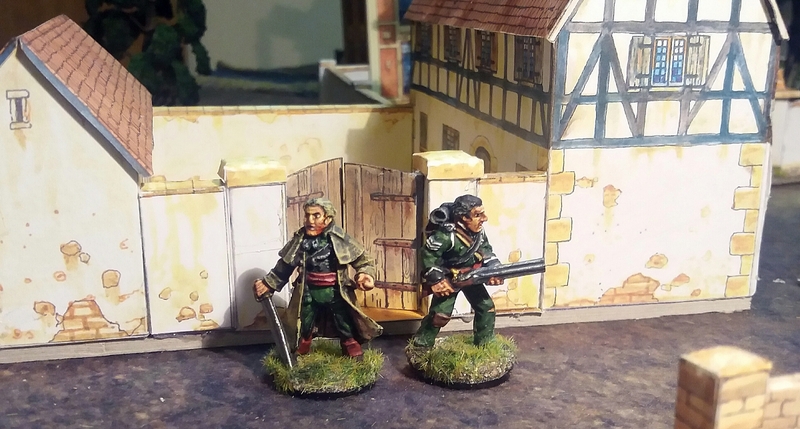 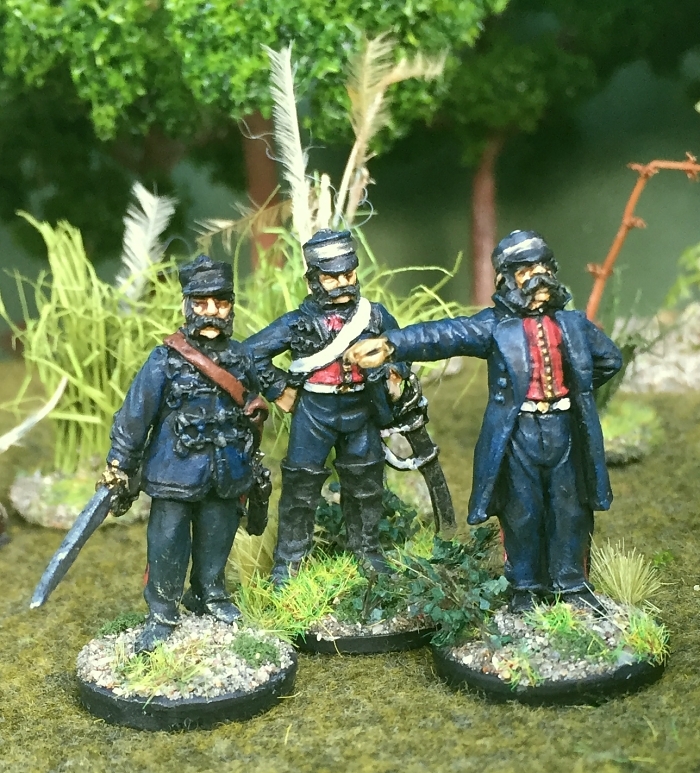 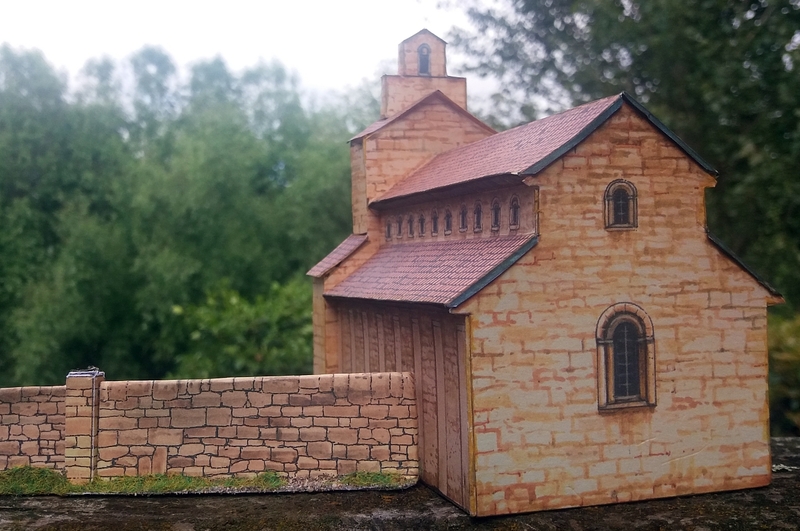 It might have been quiet here on the blog for the last week or so, but I have actually been progressing with all sorts of stuff. 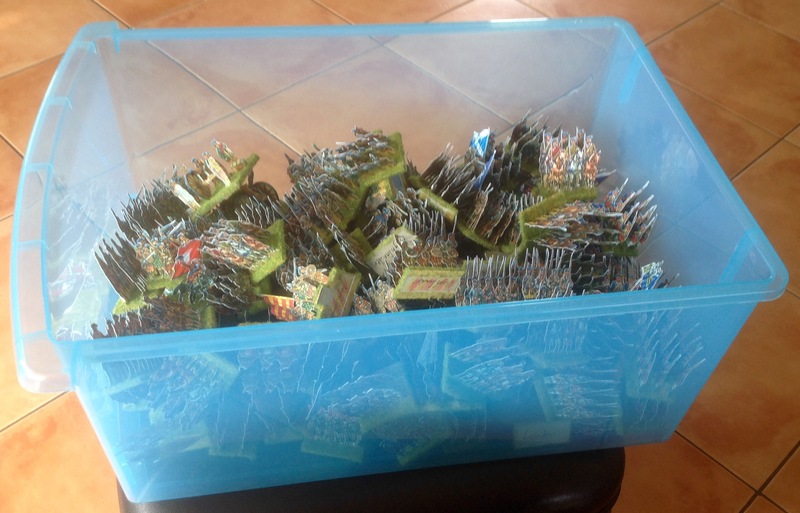 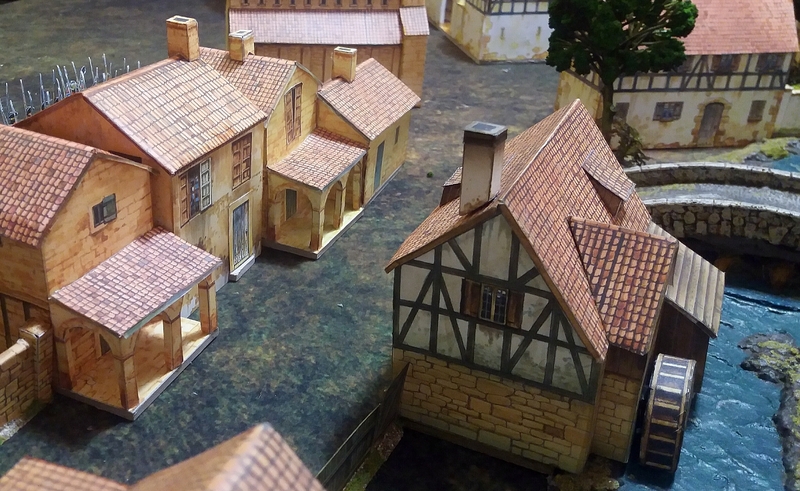 My wargaming table is groaning under the weight of several projects on the go! 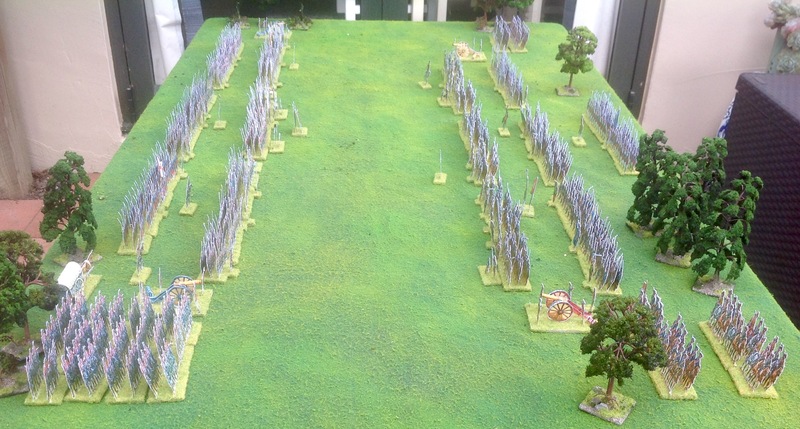 My WW2 Dutch army is coming along. 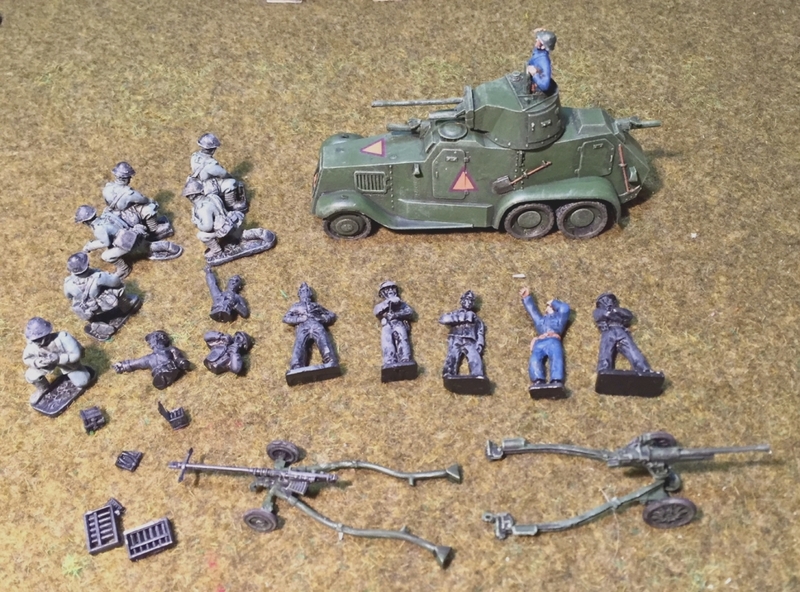 I am in the throes of assembling and painting some anti-tank artillery. 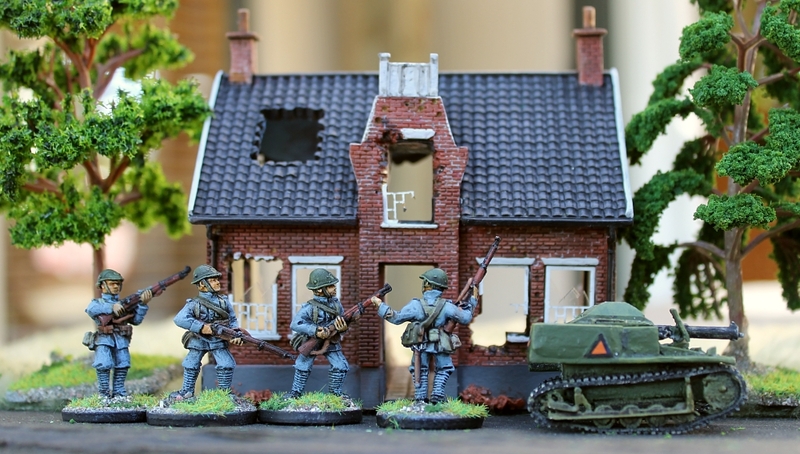 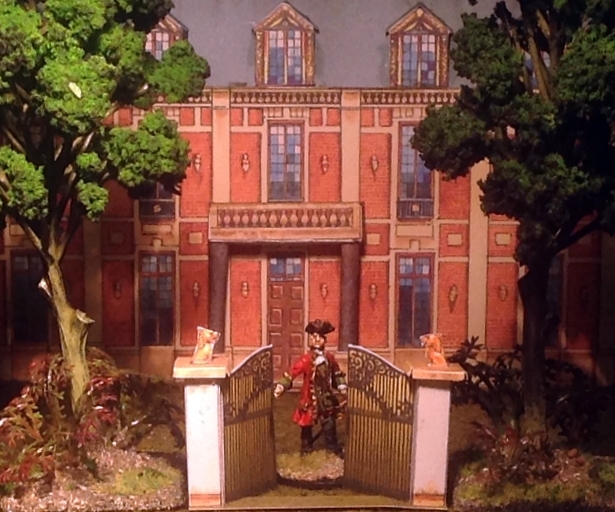 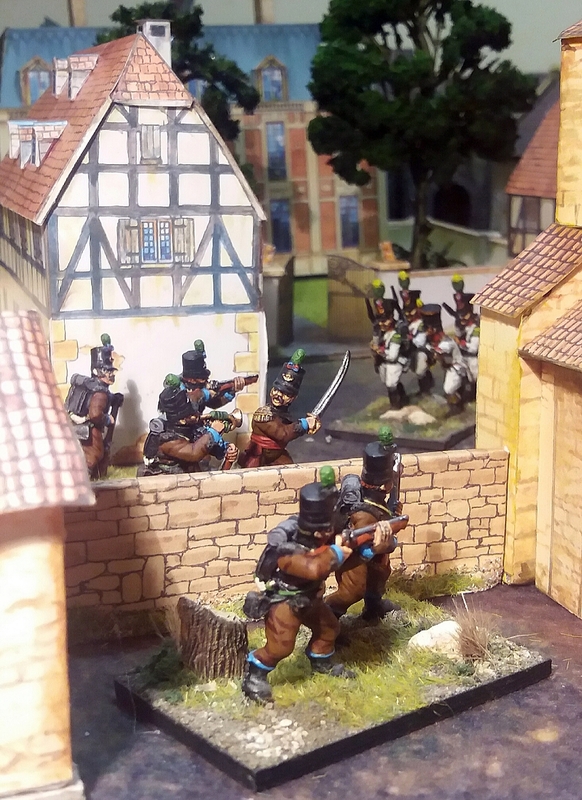 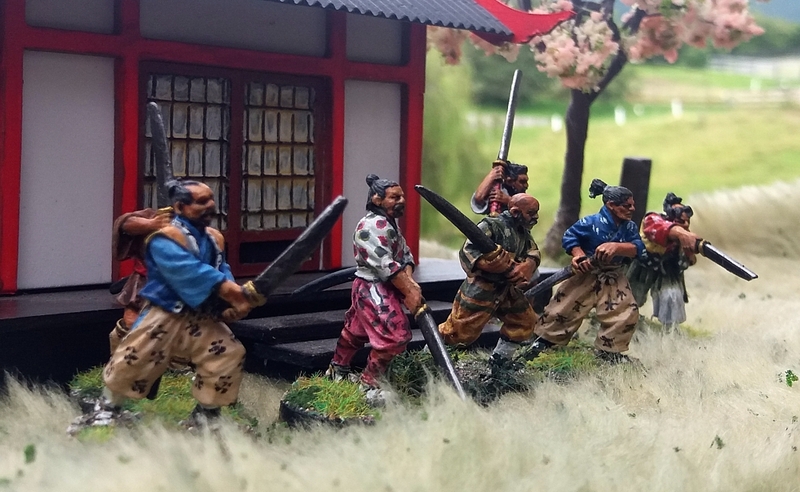 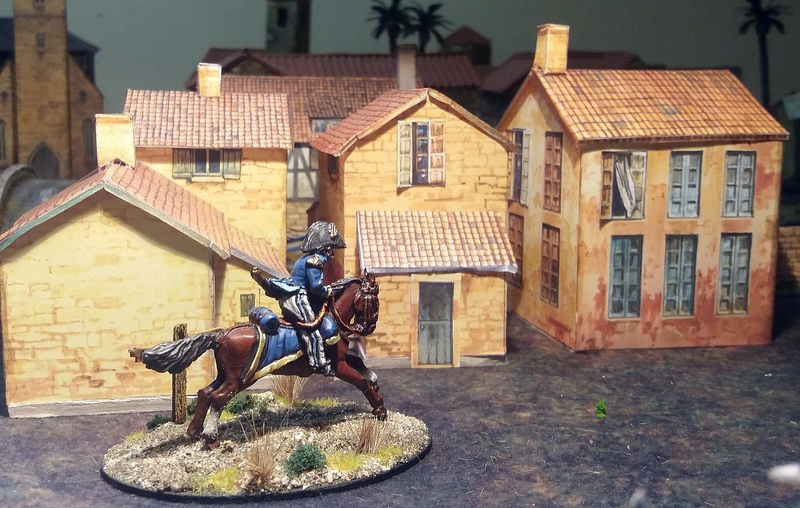 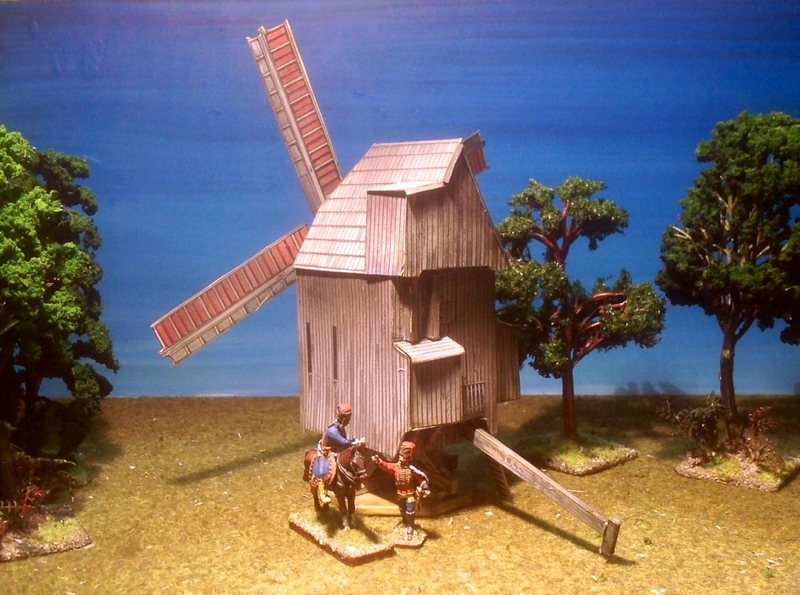 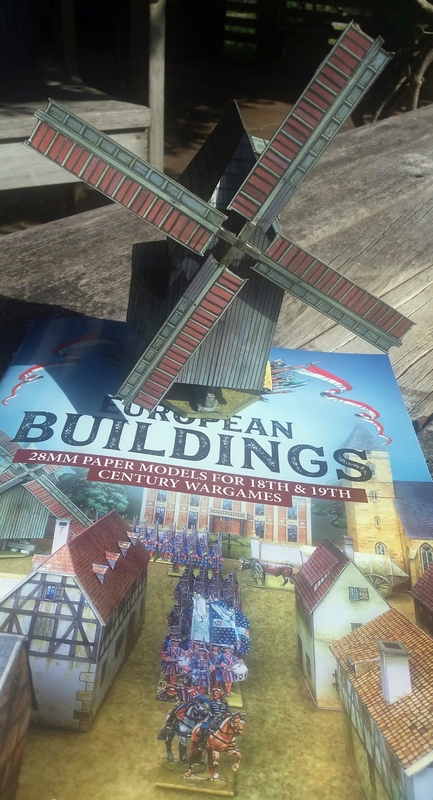 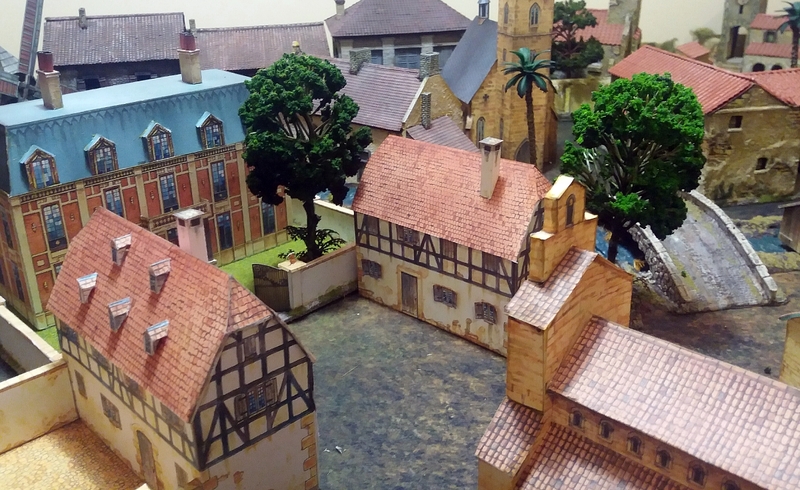 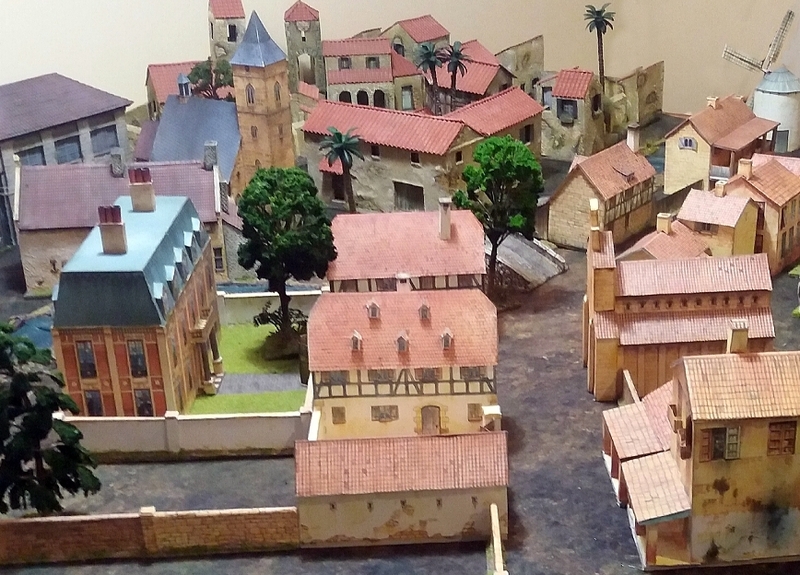 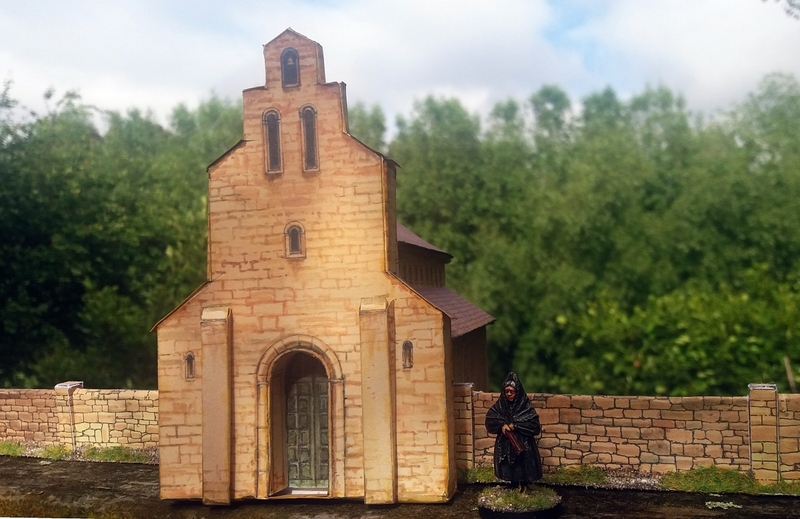 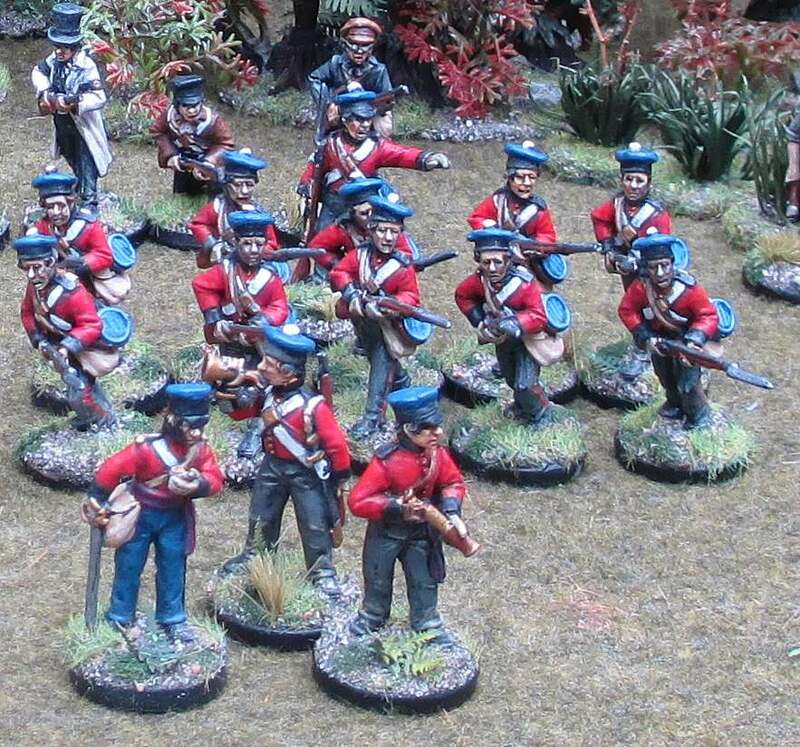 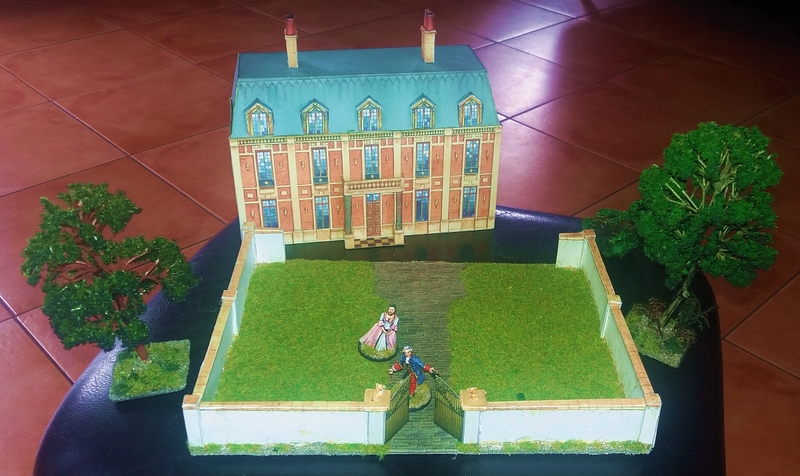 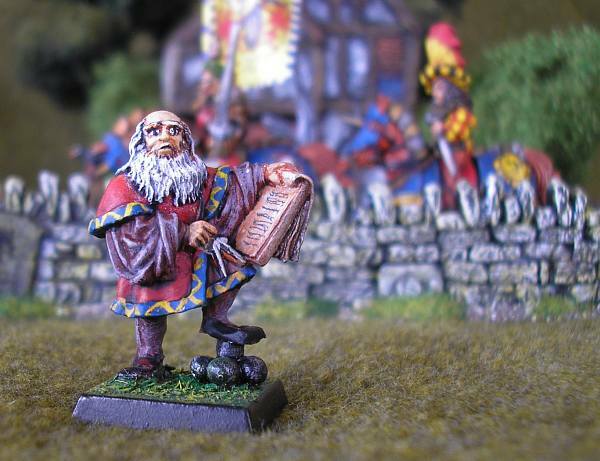 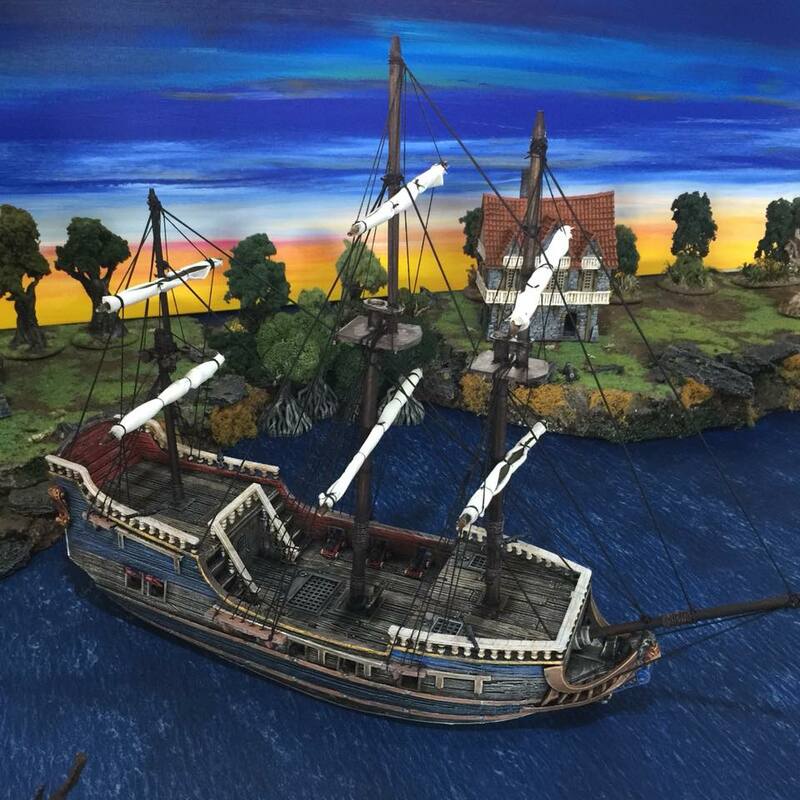 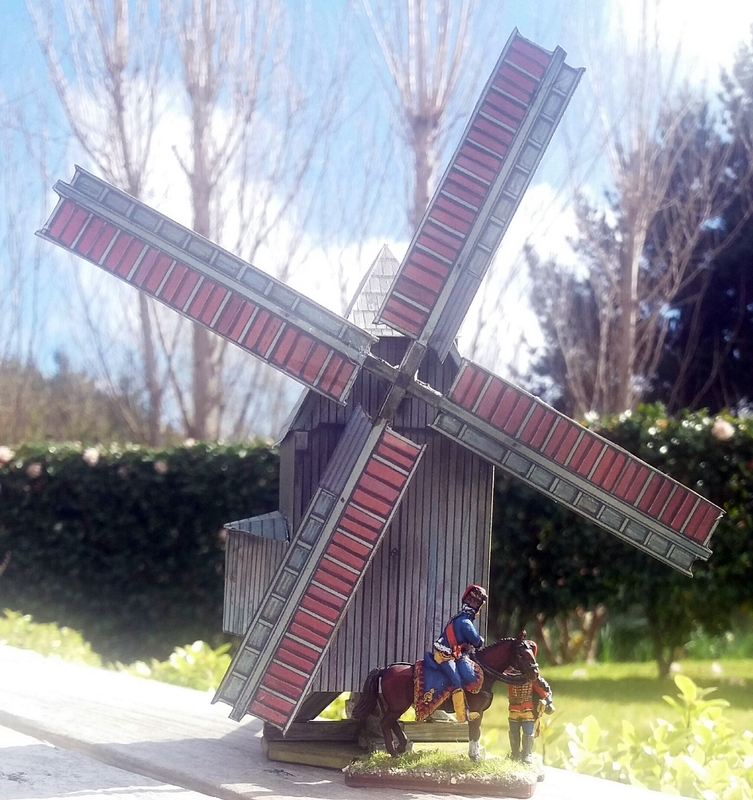 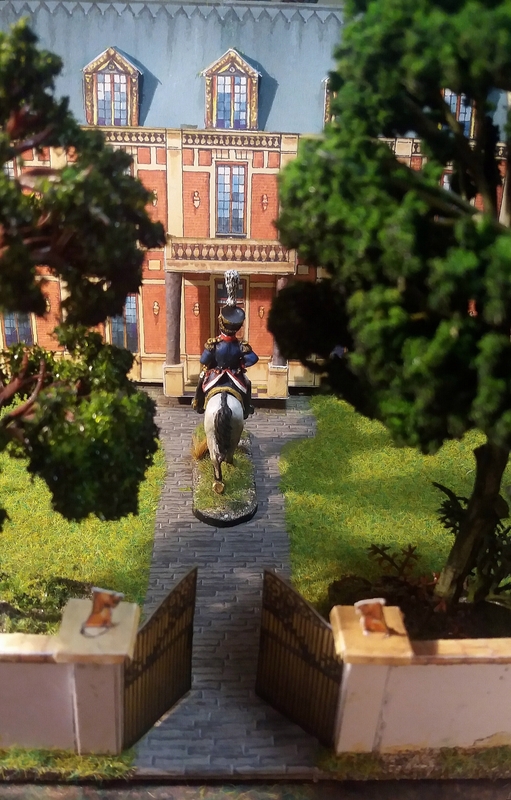 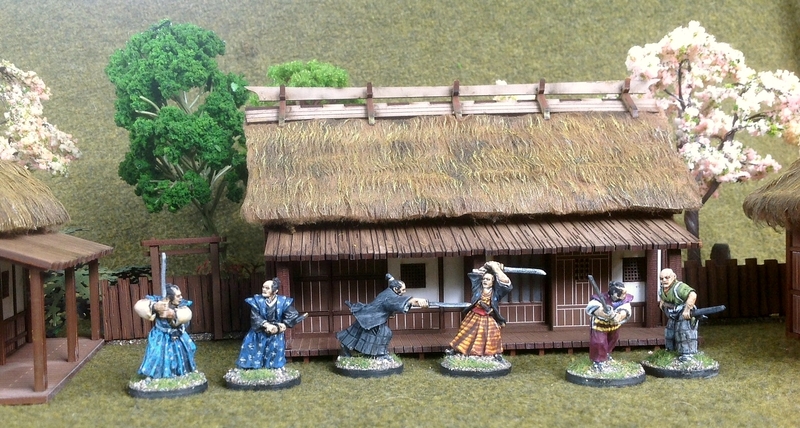 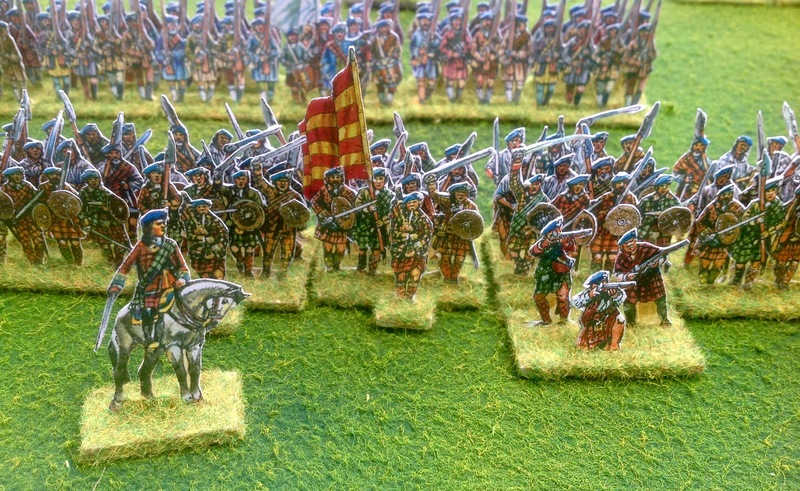 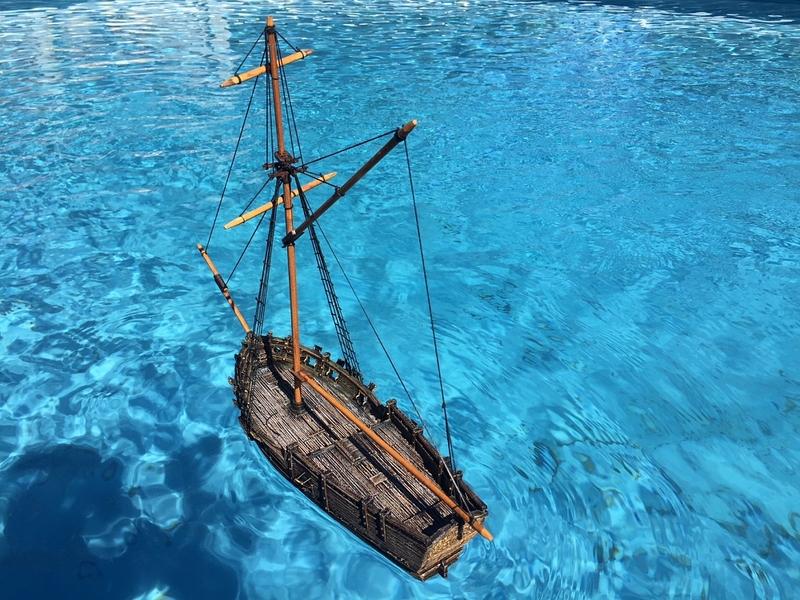 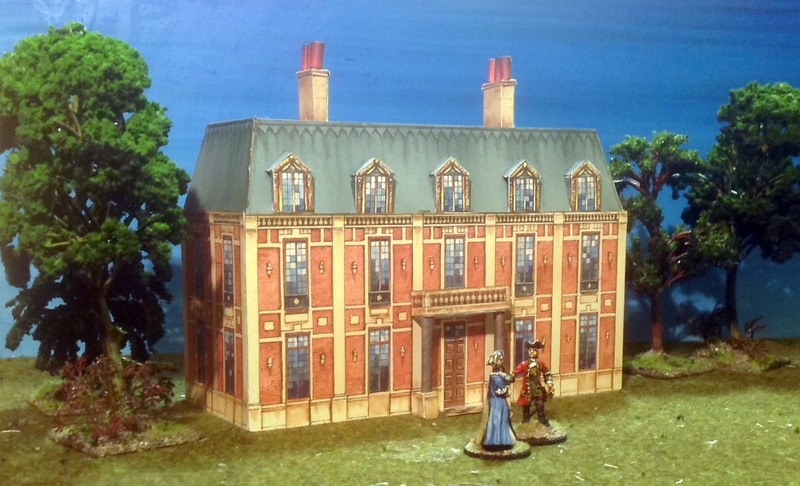 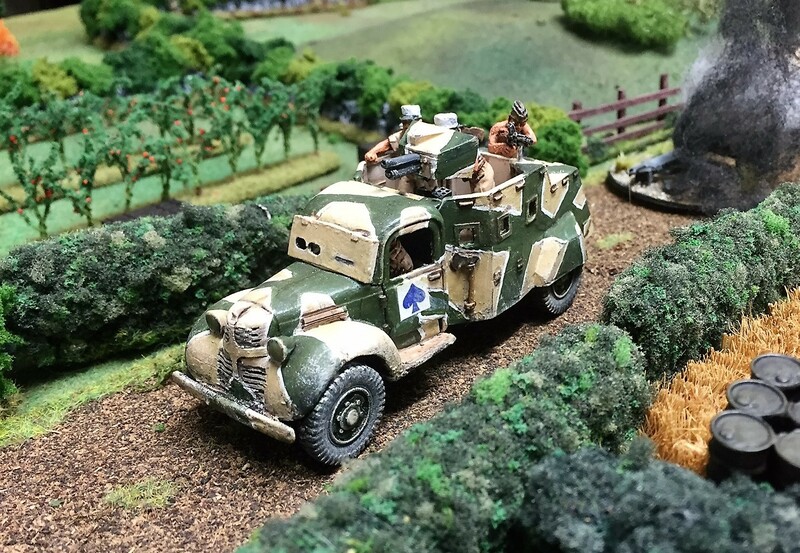 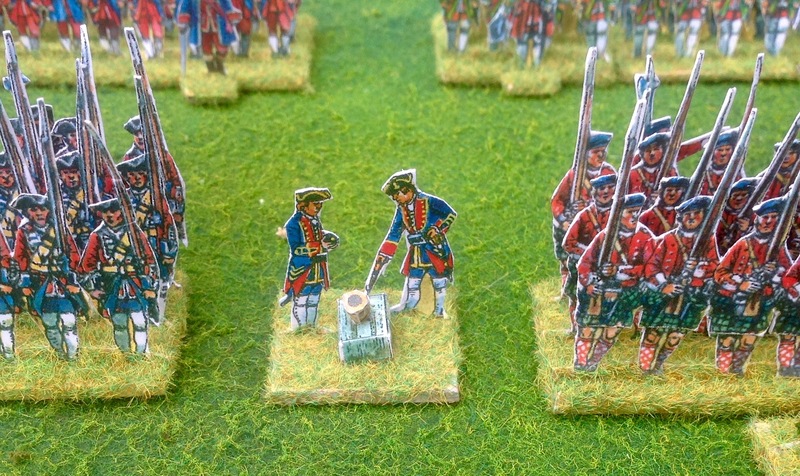 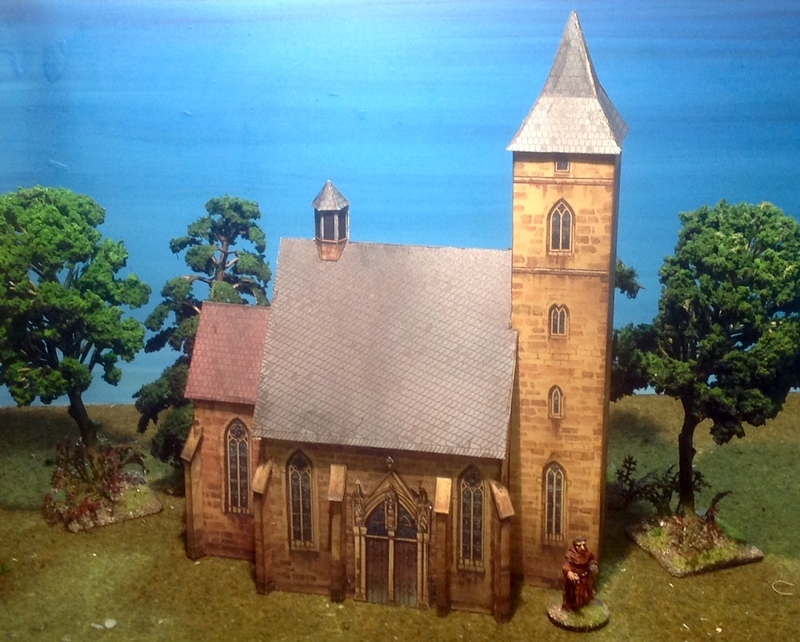 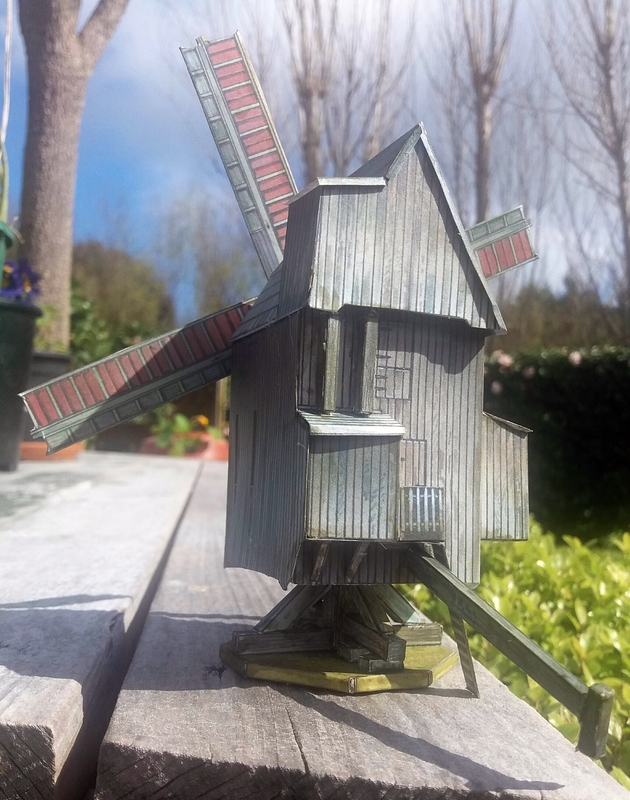 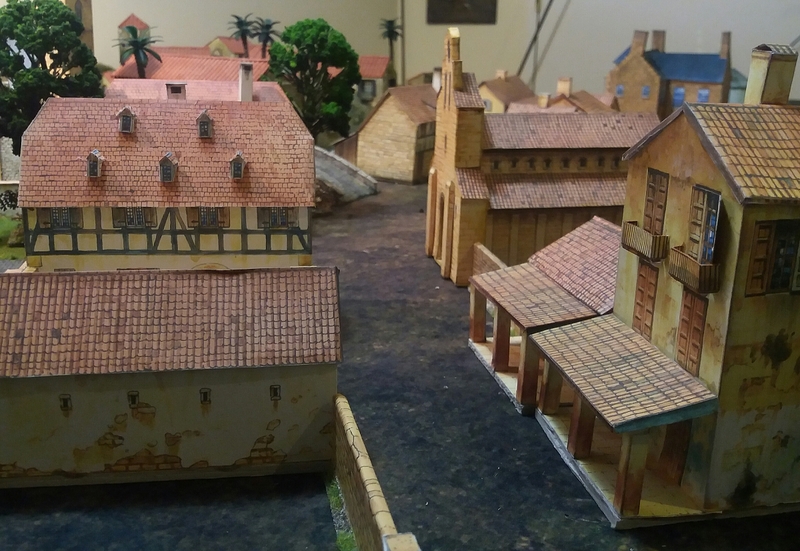 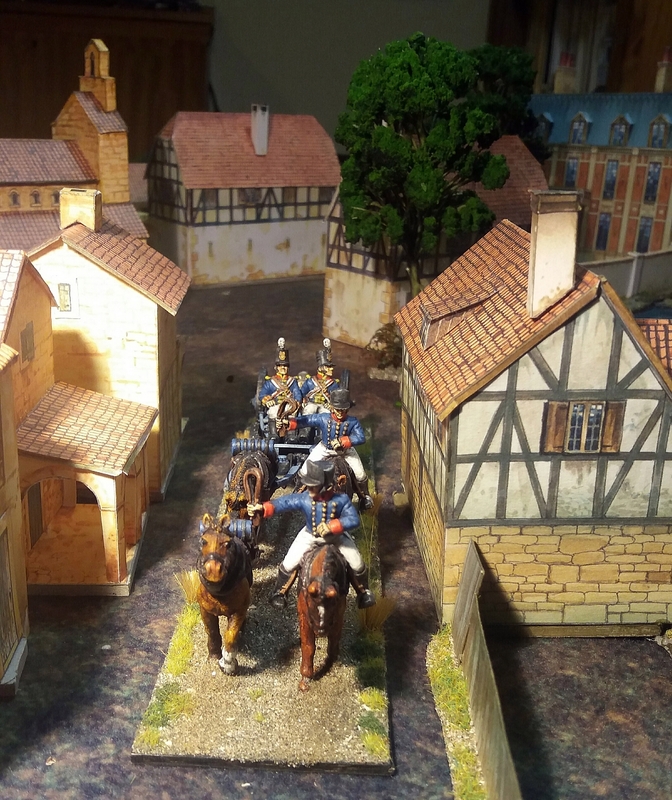 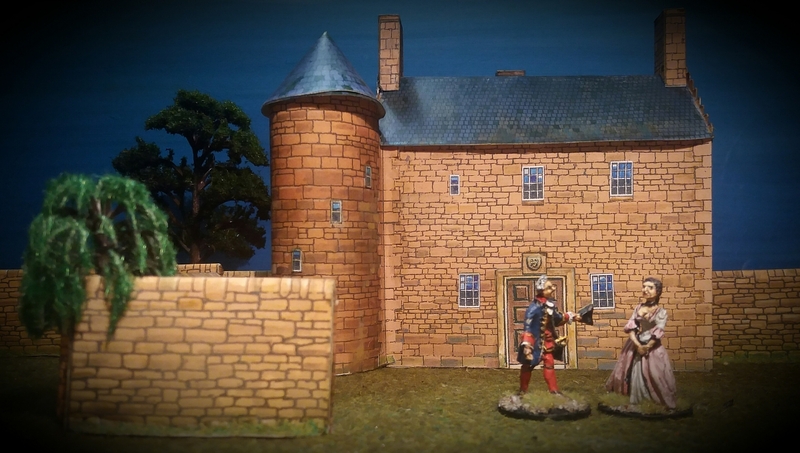 These intricate little models were released recently by May ’40 Miniatures. 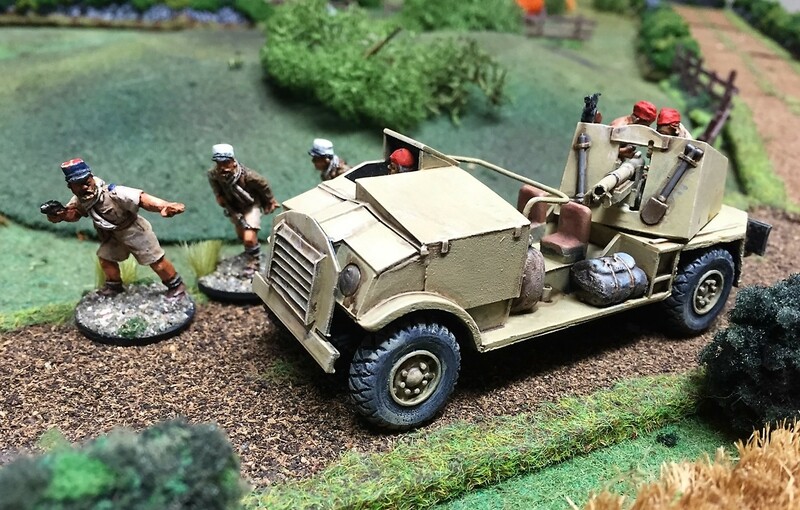 Along with the Landsverk armoured car, my Dutch army will soon pack at least a wee bit of punch. 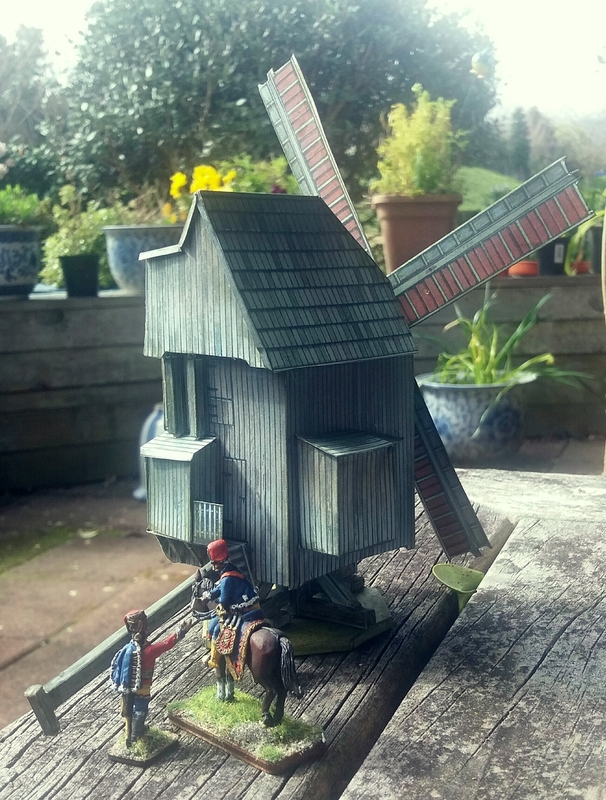 I’ve also been busy with my scissors cutting out paper soldiers for my ‘45 Jacobite Rebellion project. 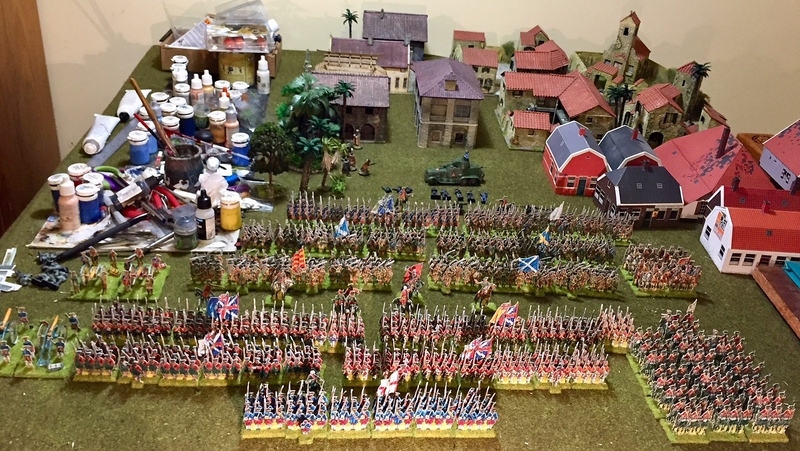 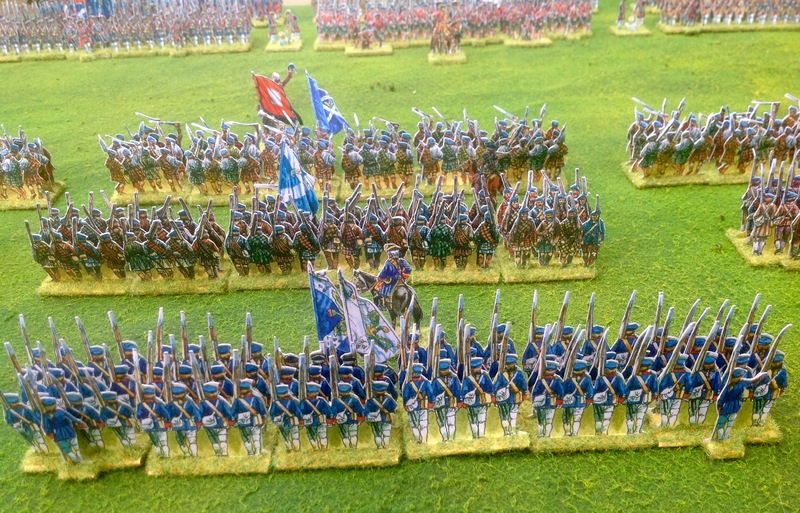 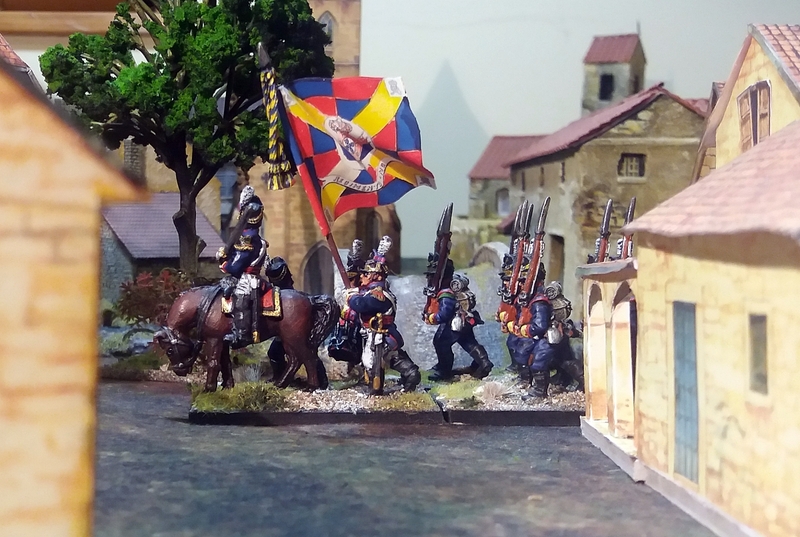 I’ve now got enough units on each side to play a game. 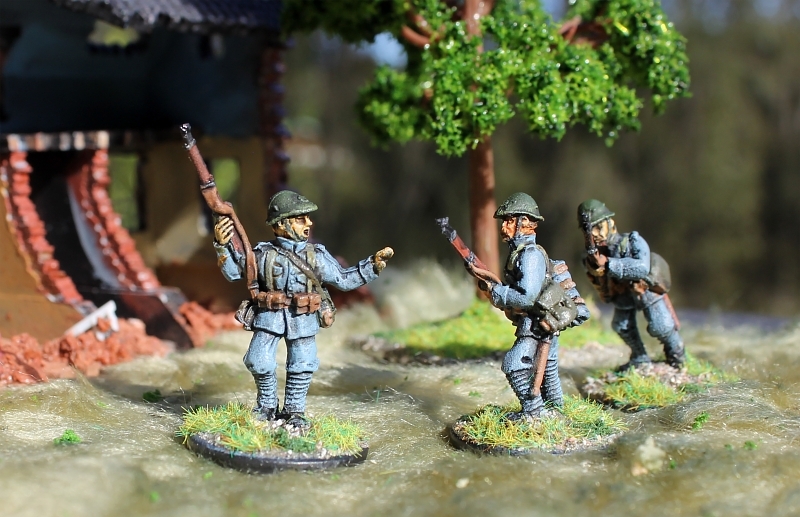 The Paperboys figures even come with a set of simple rules, so it’ll be interesting to try them out. 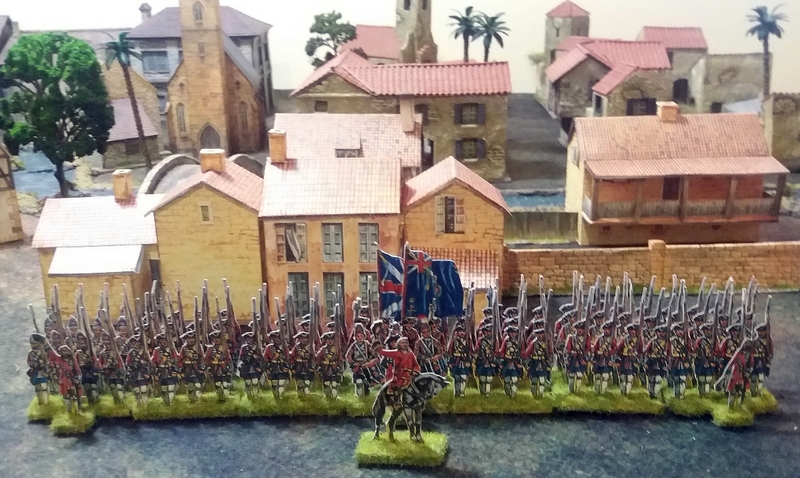 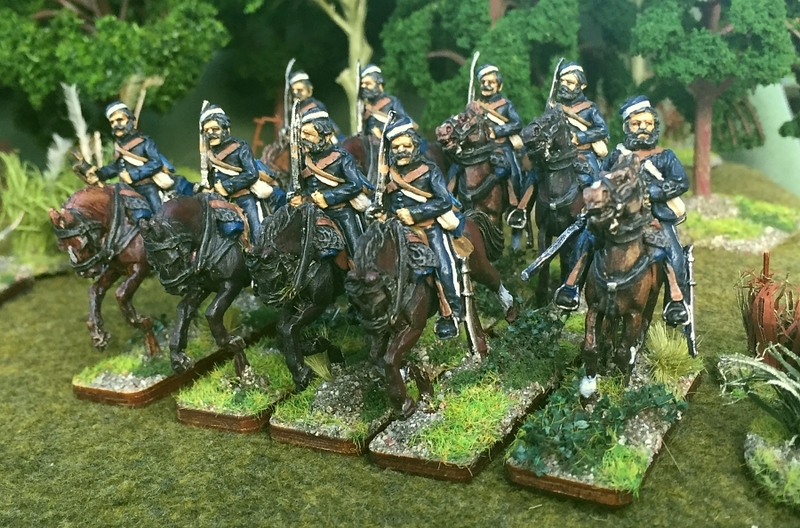 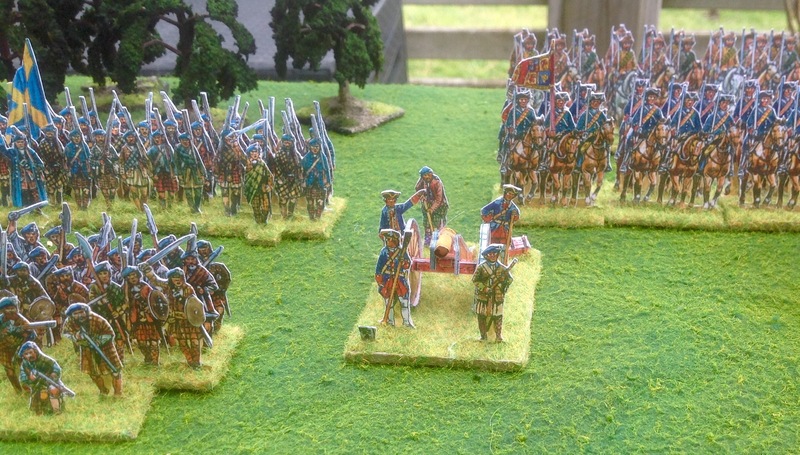 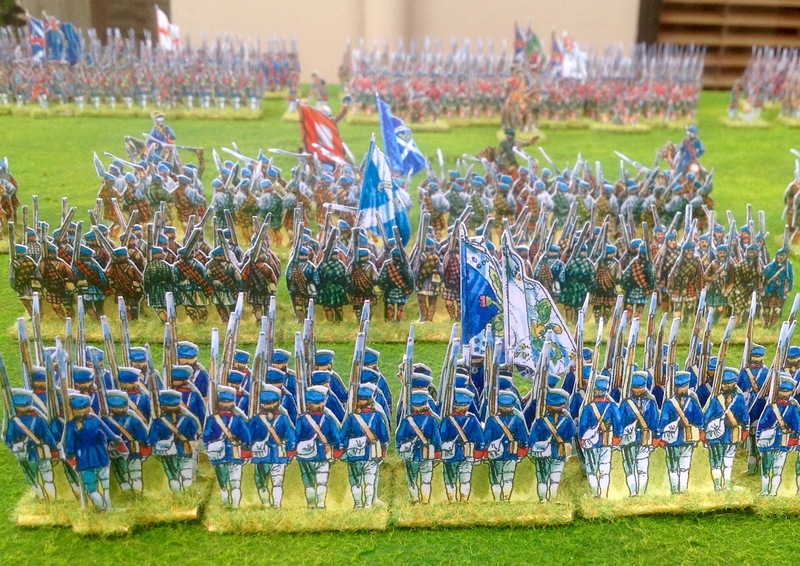 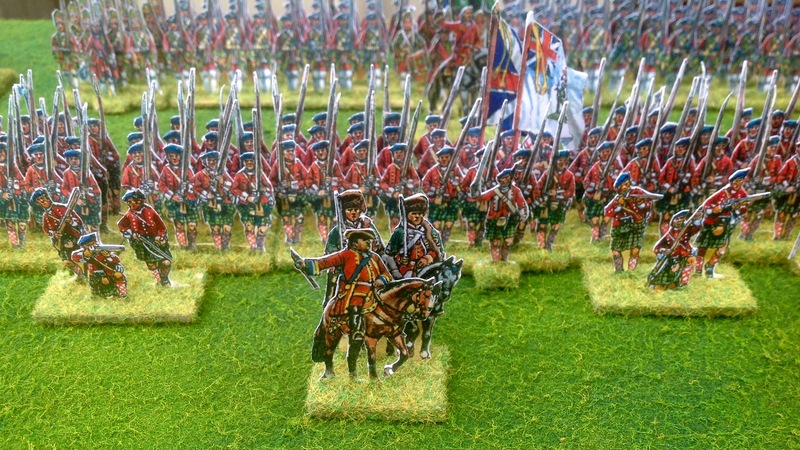 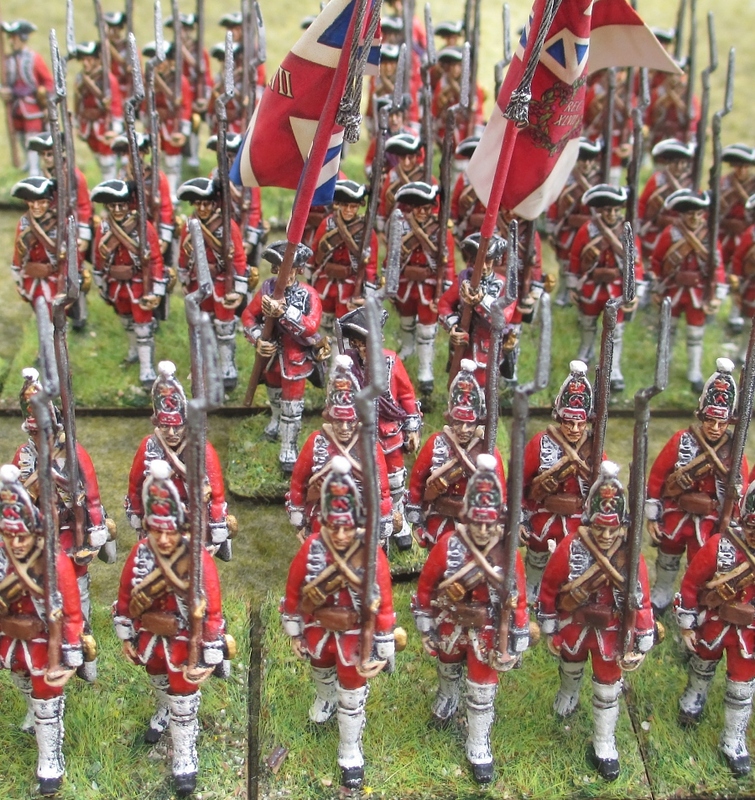 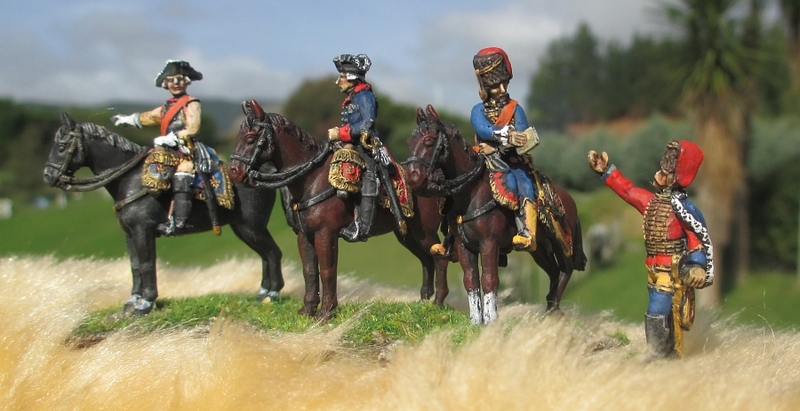 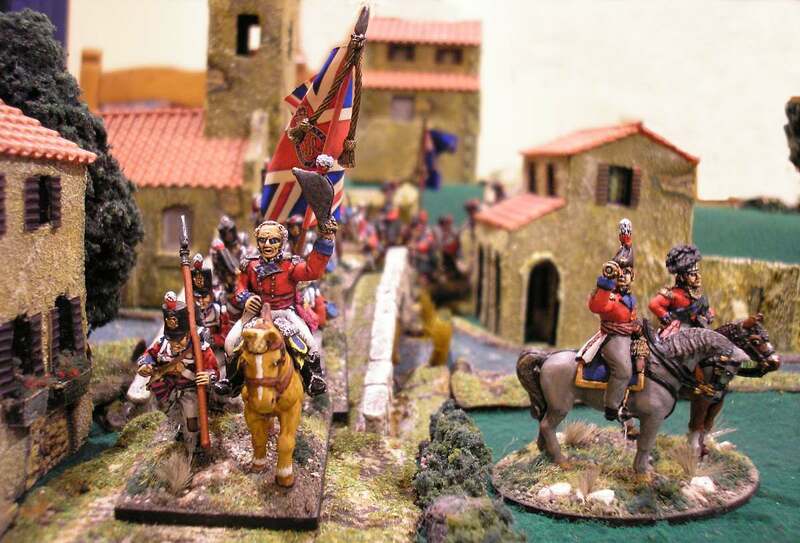 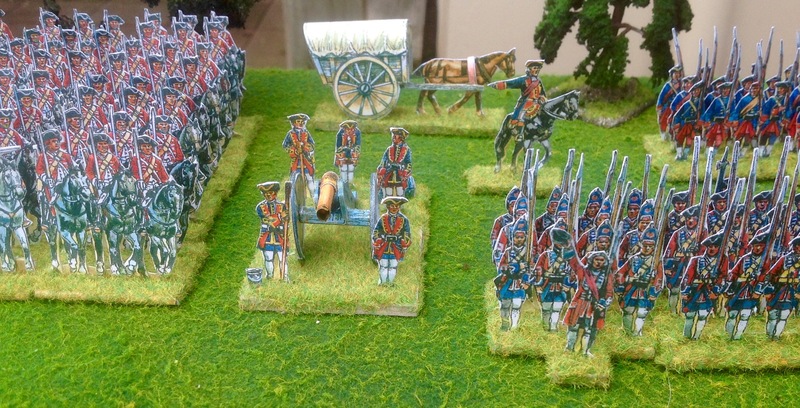 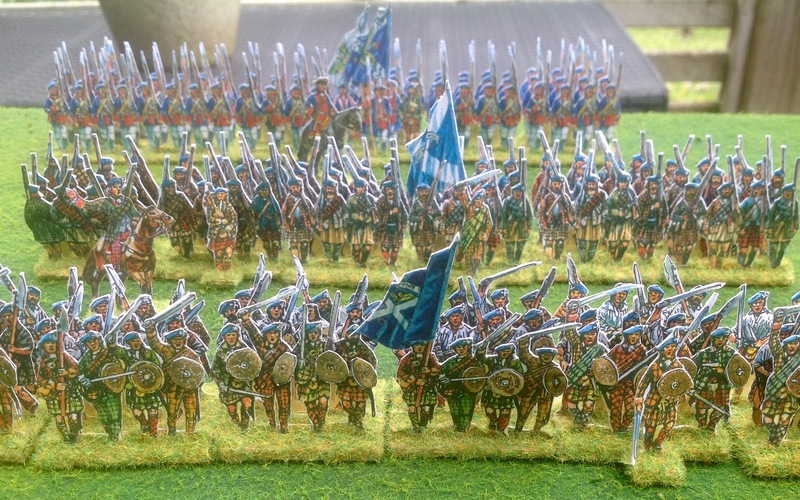 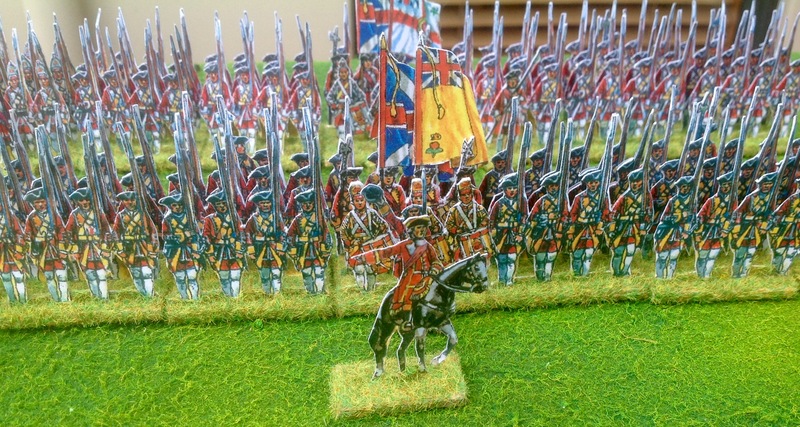 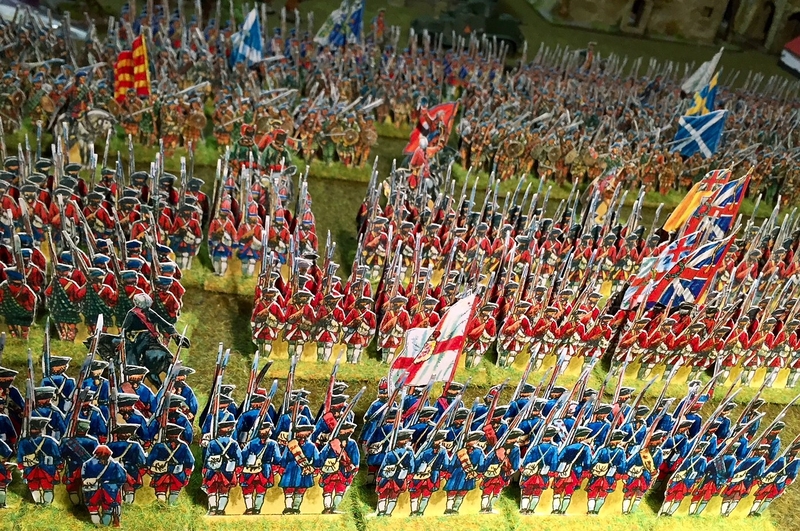 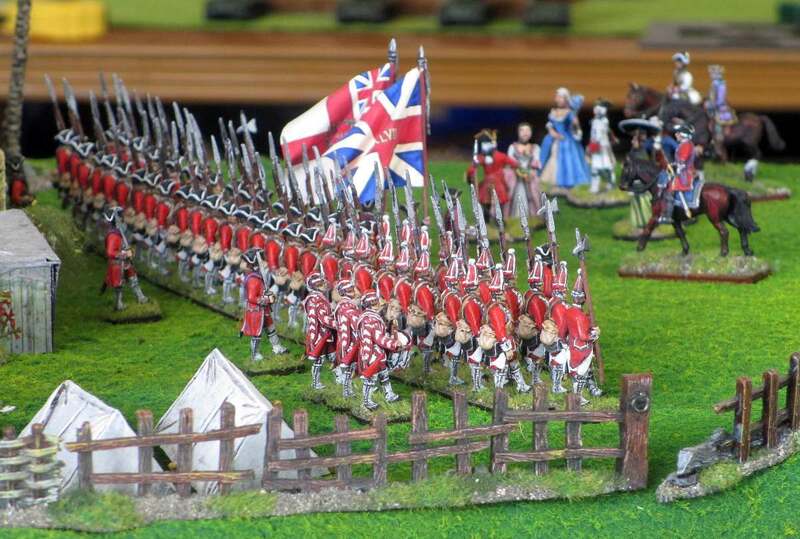 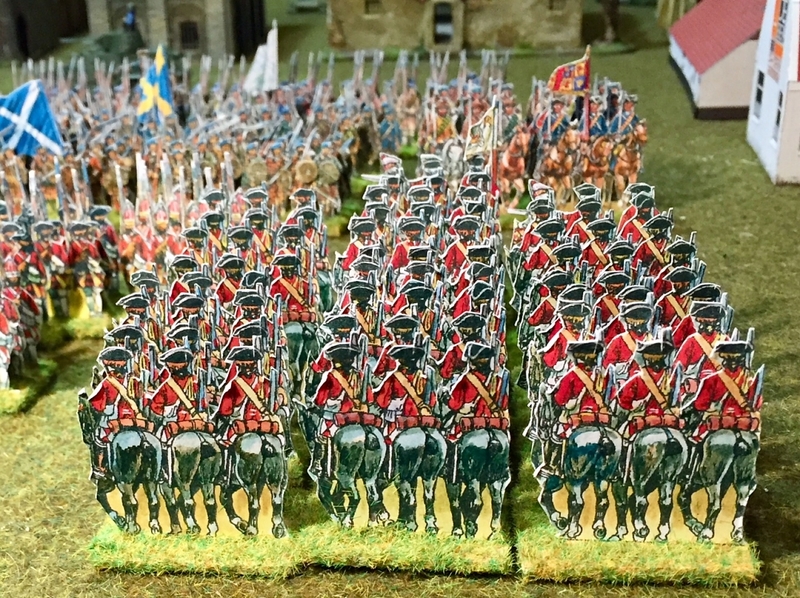 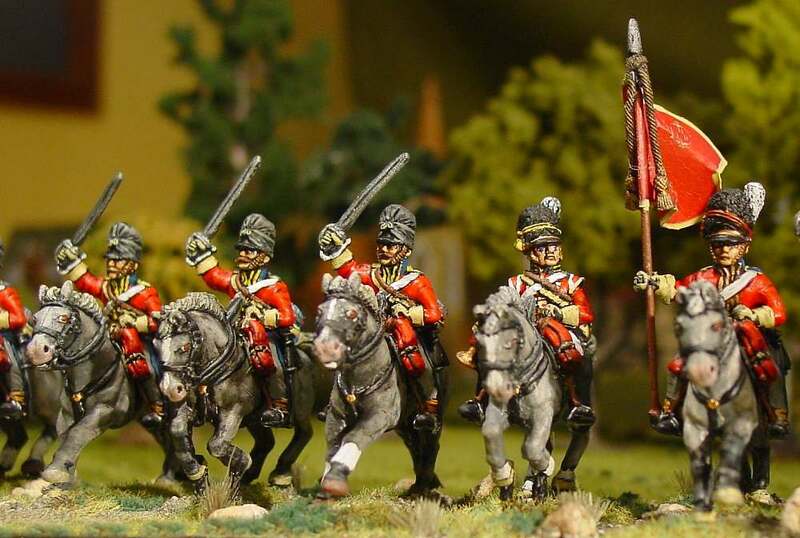 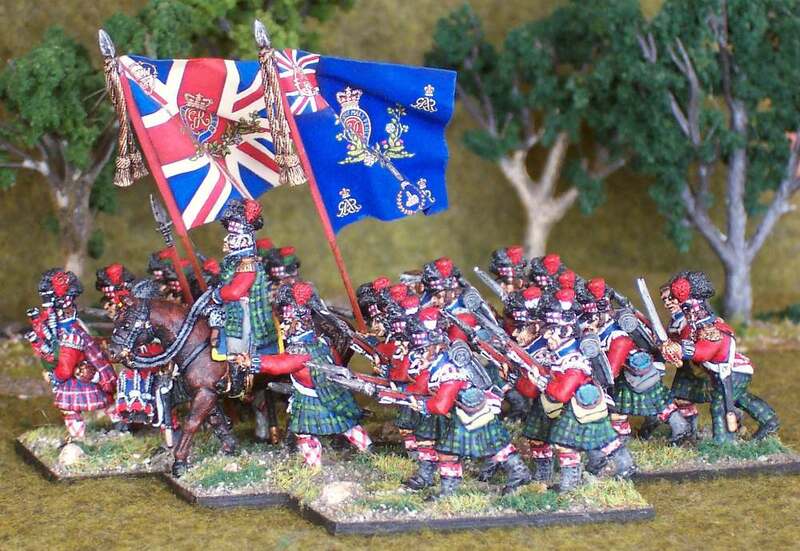 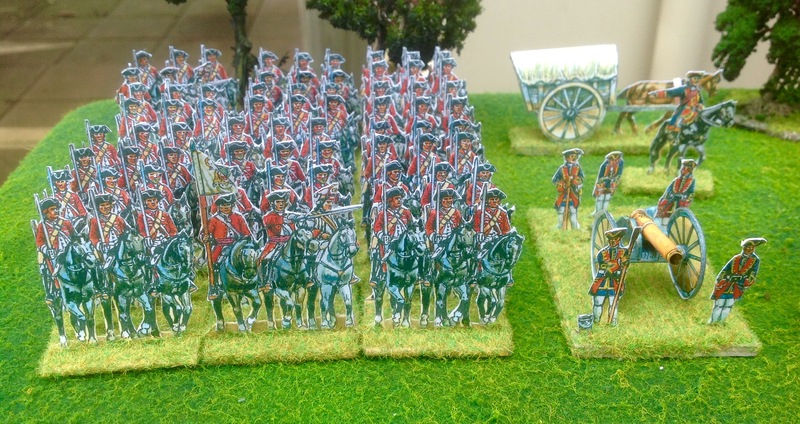 This British cavalry regiment looks pretty impressive, even though it just made out of paper. 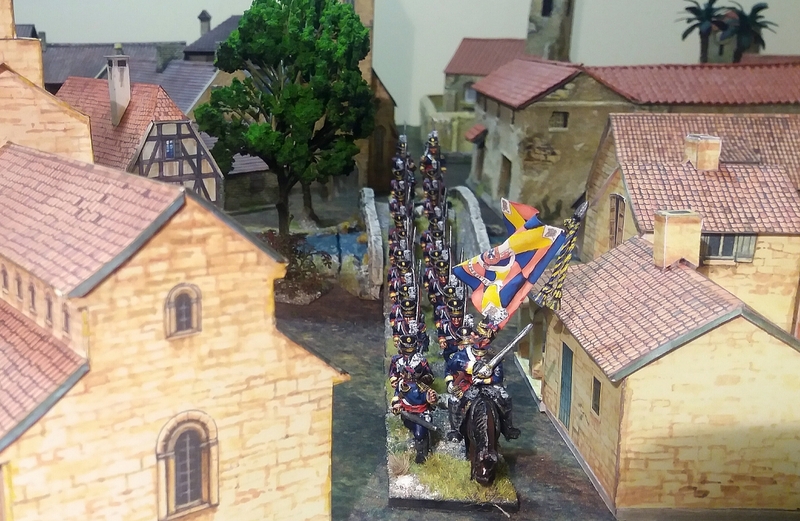 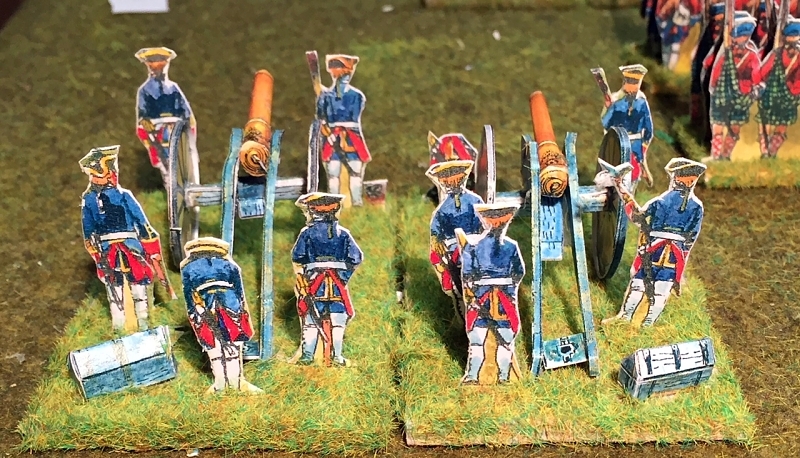 The armies even include paper artillery. 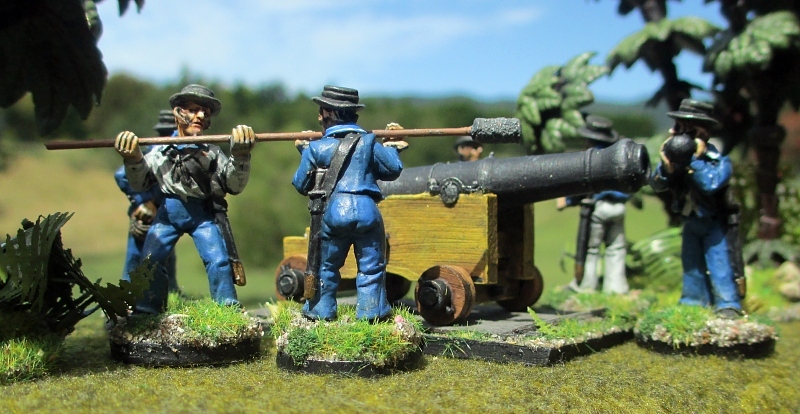 The guns themselves are 3D models, and are a bit fiddly to make. 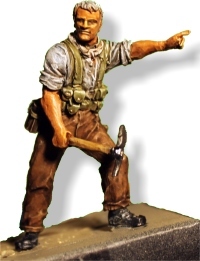 The gunners and their tools are all flats. 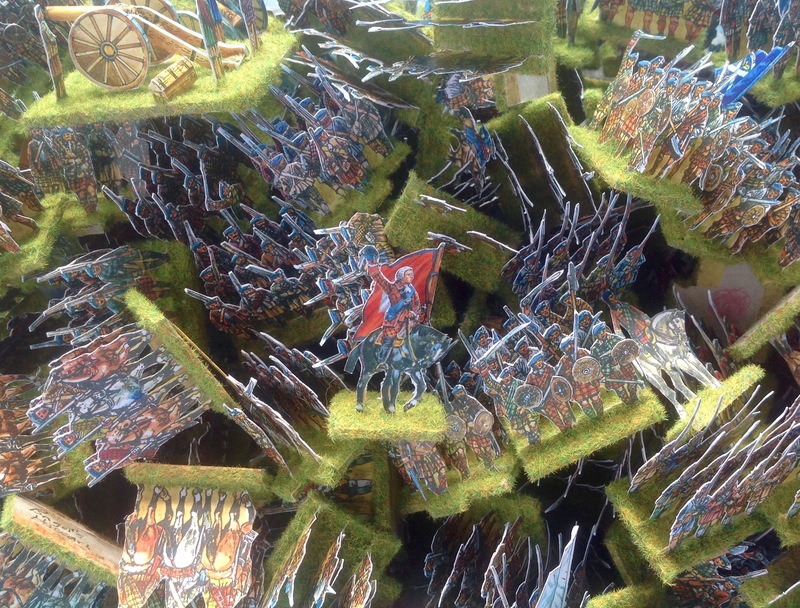 This close-up view perhaps doesn’t do these paper soldiers justice – but they do look simply splendid when looking at them from a little more of a distance. 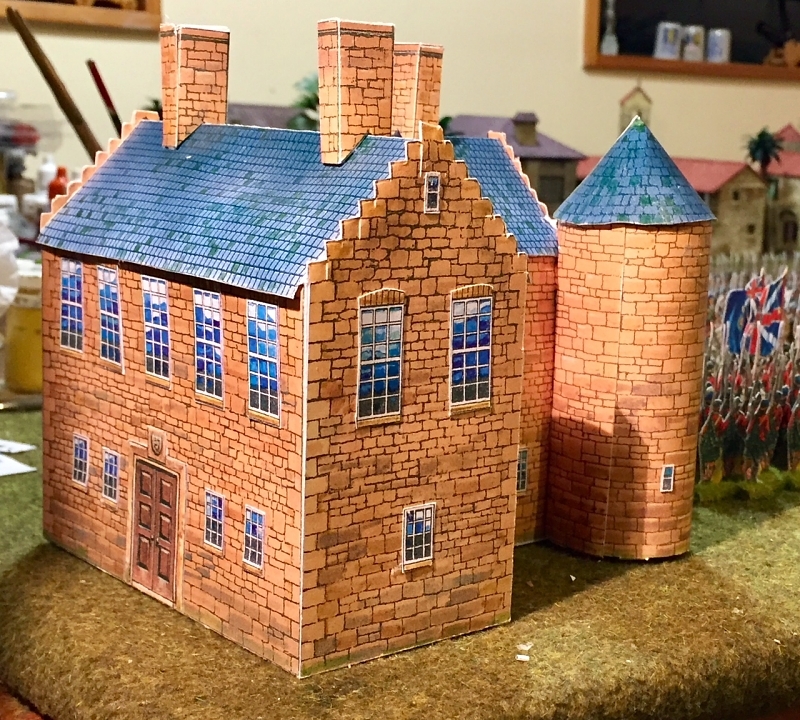 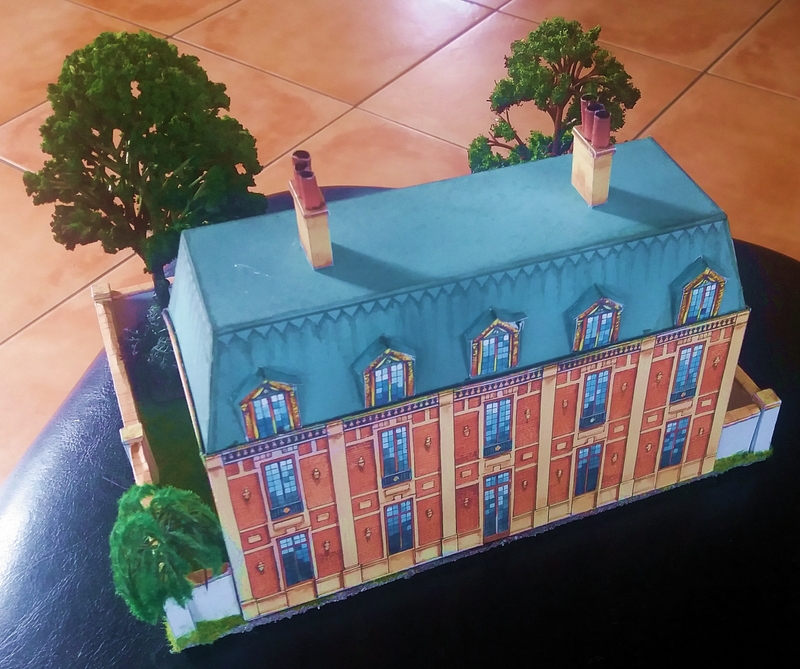 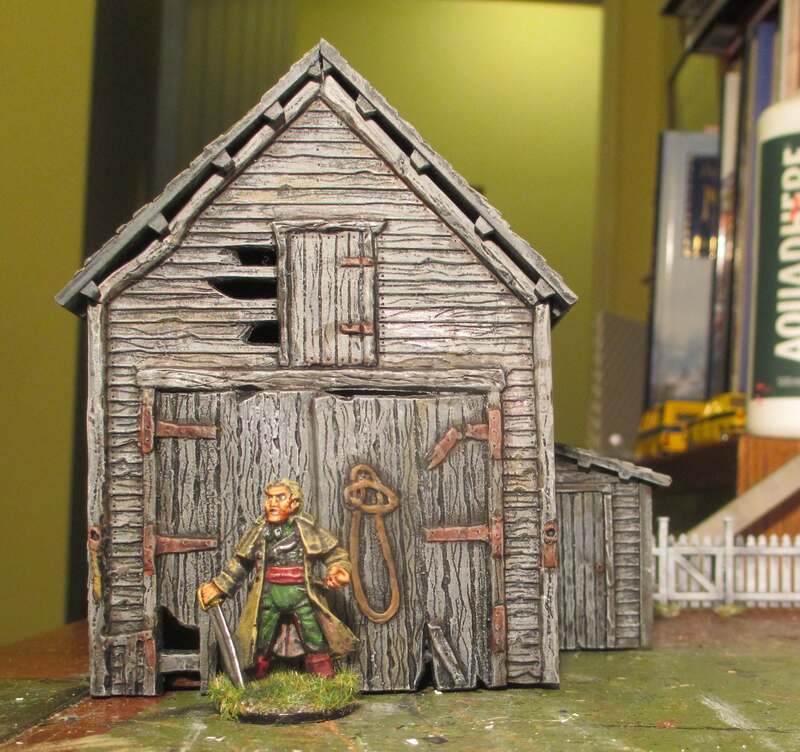 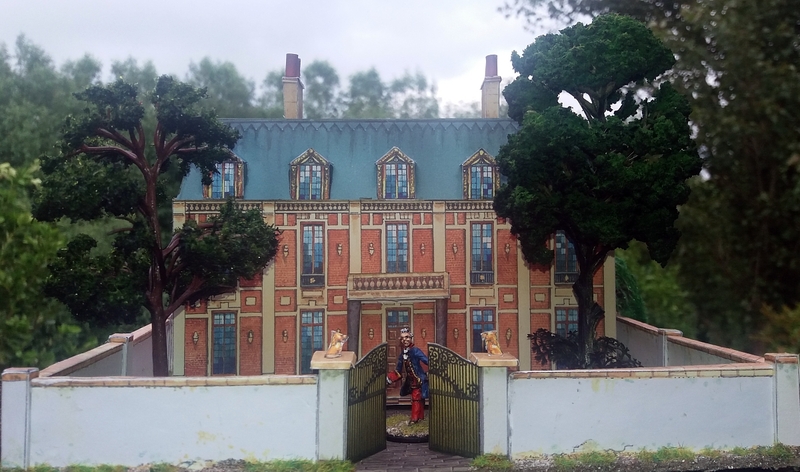 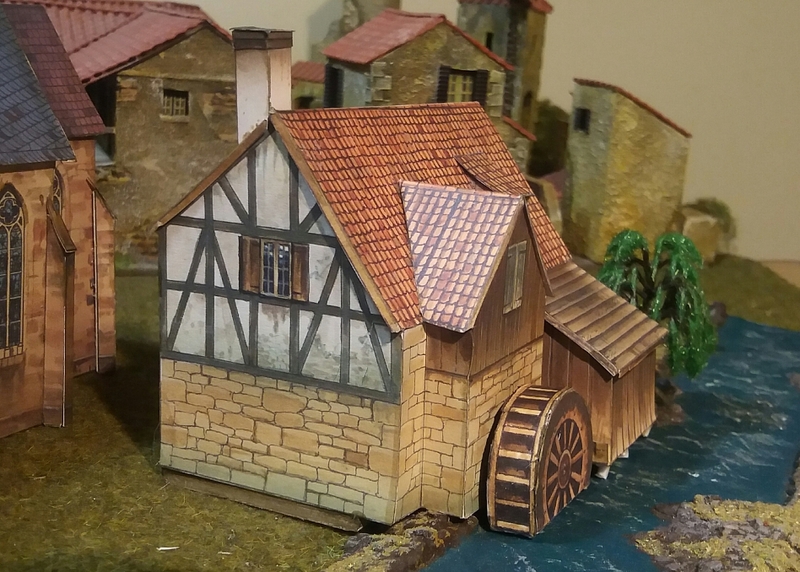 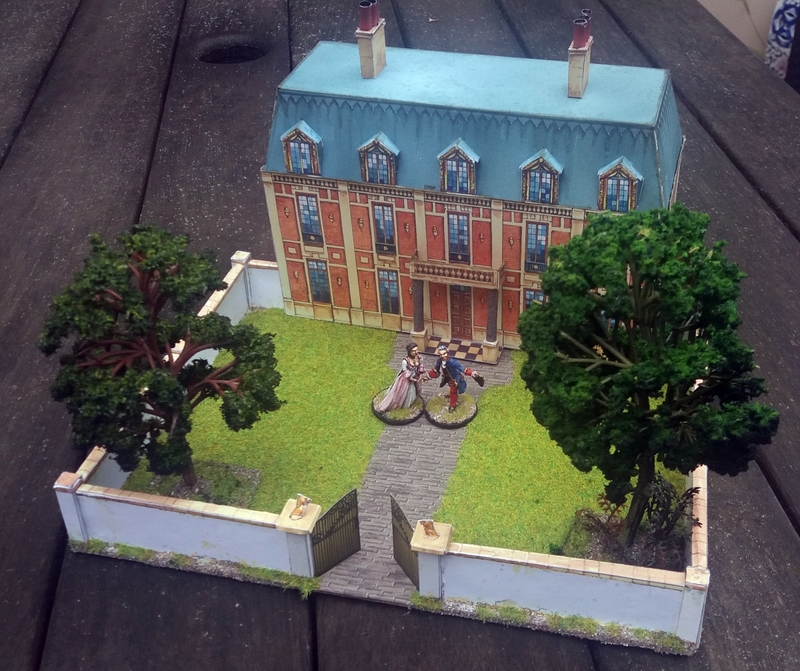 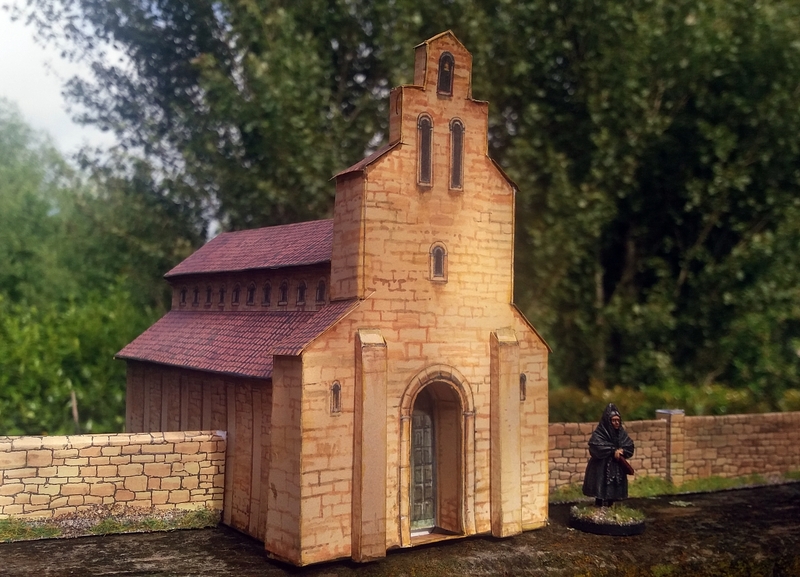 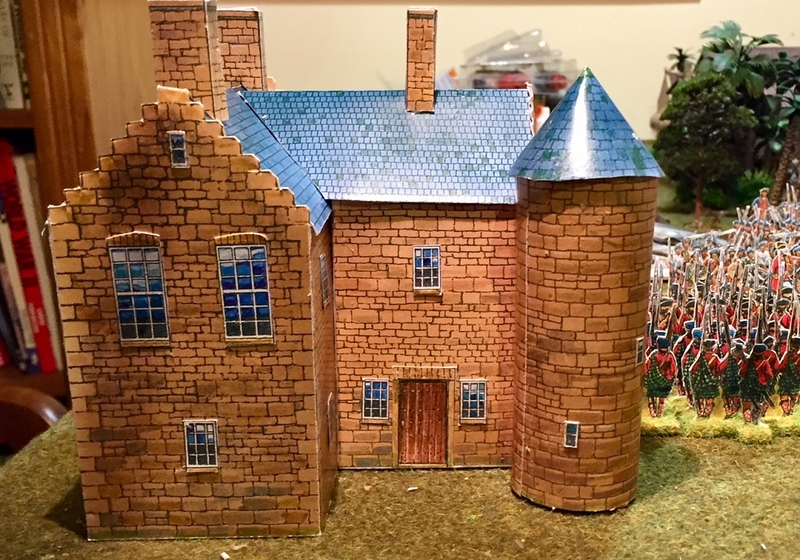 The book of Paperboys figures also includes 3D terrain, so I’ve built a typical Scottish ‘big house’. 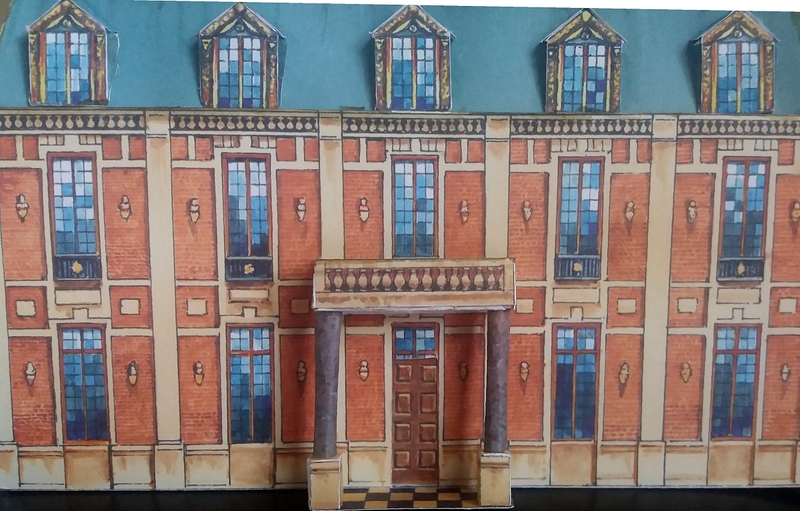 You can build this in any sort of configuration you want, so I chose to do a main building with a wing on the back, and a circular staircase turret.